A group of people who support the enemy from within their own country. During World War II, many European nations were betrayed by a fifth column within their borders while being invaded by Nazi troops. Learn more about fifth columns and dual loyalties in today's world. 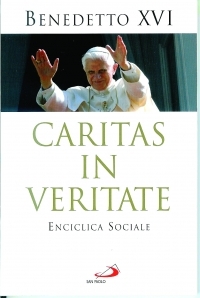 On June 29, 2009, Pope Benedict XVI published a new encyclical entitled “Caritas in Veritate (Charity in Truth).”1 After a list of Roman Catholic people to whom the document is addressed, it inclusively states, “and [to] all people of good will.” The Pope’s audience is to be not only the adherents of the Church of Rome, but also all those who claim to believe that justice, integrity, and love are the ethical foundations of human well-being. Thus to induce others into his line of thinking, the Pope includes leaders and followers of every religious creed, social dogma, economic and political persuasion. Many who purport to be Evangelical are already actively endorsing Papal Rome. For example, a Presbyterian conference held in January 2010 offered “insight into some of the factors involved in Protestants converting to the Roman Church” and a study of the influence of the Vatican Council II in order to learn from the Roman Catholic communities.2 One of fifty books offered on the Internet explains how you can accept Roman Catholicism. It states, “If you are of a Baptist or Evangelical persuasion…get an understanding of how Catholicism corrects and fulfills many of the strands of theology.”3 Thus the Papacy moves ahead with strategic dialogue for enlisting every civil regime and all major religious establishments worldwide to its viewpoint. The Pope’s latest encyclical does not stand alone. Rather it is only the most recent addition to the corpus of Roman Catholic social doctrine. This social doctrine has been and is being carefully honed and directed toward gaining total global religious and temporal control. Historically the Papacy has been obsessed with world control. It could not and did not arise until after the power of the Imperial Roman Empire had disintegrated. The horrendous persecutions of Bible believers in earlier centuries did not cause them to give up their faith but instead created turmoil within the authority structure of the Imperial Roman Empire. Consequently, the Emperor Constantine in 313 AD declared Christianity to be the official state religion. This gave Christians legitimate status within the Imperial Empire. Accordingly, Constantine organized the newly designated official religion under four districts, very much as was his military. Thus he replaced the biblical structure of the church with a new military style structure. In the fifth century, as the Imperial Roman Empire destabilized, the bishops of the realm, particularly the Bishop of Rome, were called on for advice. Gradually through this setting they gained legal authority in the civil arena. In the sixth century, the Emperor Justinian sought the (sic) use the “Christian” state church as a stabilizing force to thwart the further disintegration of the Imperial Roman Empire, which had been established and held together by military might. Justinian’s edict in 538 AD proclaimed the bishop of Rome “the Head of all the holy churches.”4 Thus he declared the Bishop of Rome head of the state church over all four districts of the Imperial Roman Empire. By 800 AD, the shoe was on the other foot, for the Pope as religious leader of the Holy Roman Empire crowned Charlemagne as its Emperor. It was Hildebrand, Pope Gregory VII, in the eleventh century who nailed down the legal power base of papal canon law so that it became incorporated into Western civilization in the legal system. Through Hildebrand’s claim of divine authority for his teaching, the Papacy in the succeeding centuries was able to surpass the kings and princes with whom it fought for supreme authority in the Holy Roman Empire. It was through Popes Innocent III and Boniface VIII that Hildebrand’s strategy was fully implemented throughout the Holy Roman Empire. Innocent III’s contribution was principally to turn the Crusades from being used against Islam to being used against those whom the Papacy termed “heretics.” The Roman Catholic Church as part of the civil state had the authority to define and teach the Christian faith. Therefore, whatever the Papacy called heresy was a civil offense, and civil authority could be used to enforce conformity to the state religion. Thus the infamous Inquisition began in 1203 against the prosperous Bible-believing Albigenses.5 The Inquisition, the Papacy’s bloody tool for enforcing submission to its dictates by both kings and common people, lasted over 600 years across Europe. Upwards of fifty million people were tortured and killed, their goods and lands confiscated to the papal treasury.6 Nobody was exempt. The beginnings of the breakup of the Holy Roman Empire manifested in the sixteenth century and seemed complete at the end of the eighteenth century. The power of the Papacy with its enforcer, the Inquisition was broken by the recovery of the Bible and the true biblical Gospel, which were the power of the Reformation of the sixteenth century. Apparent final demise of the Holy Roman Empire and the Inquisition occurred when Napoleon’s army entered the Vatican and removed Pope Pius VI from his throne. With that, the destruction of the Holy Roman Empire per se was complete, for the Papacy had lost the last vestige of its basis as a civil power. The Papacy at that point had neither military might nor civil authority infrastructure by which to enforce its rule through its Inquisitors. The kind of world government Pope Benedict XVI is seeking to advance is one over which the Papacy would again sit as moral and judicial authority. It is to be a one-world civil body composed of member nations, all of whom are equal in status and power. Over the civil body of member nations is to be a political governing body that in turn will enforce through civil law the ideas of Catholic social doctrine. While papal plans for accomplishing this agenda are still being formulated, much of their strategy and practice is already at work in the world. First, the Roman Catholic Church still claims that its popes, who sit in the Chair of Peter, are each in his time “the Vicar of Christ.”7 As such he claims the right and the duty to judge everybody and every institution of whatever kind and magnitude. In present day canon law, Canon 1405 states that it is the right of the Pope to judge those in highest civil offices.8 Canon 333, Sect. 3 states, “There is neither repeal nor recourse against a decision or decree of the Roman Pontiff.” Pope Pius XI’s 1931 encyclical “Quadragesimo Anno,” is part of the corpus of Roman Catholic social doctrine. It states “[T]hat principle which Leo XIII so clearly established must be laid down at the outset here, namely, that there resides in Us [the Papacy] the right and duty to pronounce with supreme authority upon social and economic matters.”9 These documents, and many others, state emphatically that the modern-day Papacy has right and duty to pronounce with supreme authority upon social and economic matters. [EDITOR’S COMMENT: In his encyclical, Benedict emphasizes that Pope Paul VI’s encyclical Populorum Progressio “deserves to be considered ‘the Rerum Novarum of the present age.’” Rerum Novarum, as we will remember from previous issues of Faith on the Line, is one of the Roman Church’s most influential statements on economic matters, in which Rome lays down for all humankind its goals of government intervention in the 20th century. Pius XI, in his encyclical Quadragesimo Anno, said that Rerum Novarum was instrumental in destroying capitalism in the West through the infiltration of “picked men” into society who introduced Catholic principles of sociology in the intellectual heritage of the whole human race. As a result, Roman Catholic policies and principles have penetrated secular venues to such an extent that individuals who otherwise have no allegiance to or connection with Rome are promoting its agenda. In Caritas in Veritate, Benedict tells us that Pope Paul VI’s encyclical Populorum Progressio deserves to be considered the Rerum Novarum of the present age. So we can expect that this encyclical will contain updated plans and ideas to bringing about Roman Catholic economic ideals. Populorum Progressio we noted in previous articles endorses theft and further emphasizes the redistribution of wealth. Second, the papal plan will require a new social order as defined by Roman Catholic social doctrine. The new social order does not apply to the Papacy itself, which is claimed to be divinely instituted, or in their terminology “from above.” It does apply to all peoples, all lay Roman Catholics, all civil and secular structures. These all are designated as temporal, or “from below.” This distinction is absolutely primary to the Papacy. The new social structure will include every human person of the temporal realm. In his latest encyclical, Benedict, citing Pope Paul VI, states, “authentic human development concerns the whole of the person in every single dimension.”12 And, “The truth of development consists in its completeness: if it does not involve the whole man and everyman, it is not true [authentic]...development.”13 What many true Bible believers may not understand is that “the whole man and every man” in the temporal realm will be required to conform to the goals of the world administration devised by the popes of Rome and enforced by the nation states and the governing body superior to them. Whatever Papal Rome teaches on economics, redistribution of wealth, and social justice, it does so even while seated as a primary player in international industry and banking. Being international itself, the Papacy wants increasing influence on an international level. Clearly Roman Catholic social doctrine envisions neither a communist nor a welfare state because it holds that all goods, including private property, are to be at the service of civil authorities. These authorities will direct how, when, and by whom all goods are to be used. Further, the Papacy understands that people do not come easily or willingly to accept governmental authority over the use of their privately owned goods. But it is expected that over time, with education as to their duty to provide for “the common good,” they should do so. In spite of its incessant talk of freedom, the new Roman Catholic social structure imposes many parameters that interfere with the individual’s exercise of choices regarding every area of his life. The envisioned new social structure also has an agenda for the highest governing bodies, which are part of the temporal sphere. To this end, Pope John Paul II, in his address to the United Nations in 1995, called for that body to revise its thinking. Rather than to understand its function as mostly administrative, it ought to promote all nations not as a collection of nations but as a family of nations, a much different concept.21 Implicit in the idea of family is the understanding of a governing body, the parents, who train, oversee, and guide the development of each individual member. The same idea is implicit in the concept of the family of nations. In 1995, Pope John Paul II publicly set the stage for Benedict’s latest encyclical. Further, the true concept of subsidiarity is that matters ought to be handled by the least centralized competent authority. It means that a central authority should have a subsidiary function, performing only those tasks which cannot be performed effectively at a more local level. This principle in the society of the Western world acknowledges the rights and freedom of the individual through self-government, generally called self-control.23 The principle recognizes the next layer of society, the freedom of the husband with the help of his wife24 to manage his household, including his financial interests. Last, society acknowledges civil government.25 According to the Bible, civil government is given the power to enforce its nation’s laws by coercion and to protect its citizens by making war against the nation’s enemies. Issues of charity, therefore, are not the legitimate concern of civil government. Rather, they are the legitimate concern of individuals and of the church. Thus the Pope’s statement concerning subsidiarity and “inalienable human freedom” is simply a ruse and strategy to conceal his true intentions. In a similar way, while speaking of the sovereignty of governments, the Papacy claims authority over all nations across the world. Pope Benedict, in speaking of the principle of subsidiarity, uses it to fashion a façade under which he operates to capture power over families and nations. Thus the Pope with many long sentences of many words attempts to entice authorities worldwide to institute the Vatican’s policies. The papal call for reforming the United Nations, economic institutions and international finance under a new universal authority has come a little over a century since the public advent of the new Roman Catholic social doctrine. Strong nations still have to be leveled to be economically equal with the third world nations. Capitalists still abound and stand in the way of redistribution of their goods. National governments throughout the world continue to be regulated by internal laws and accountability measures. As such, they are not so quick to give over their national sovereignty. Thus the Papacy wants a world civil authority that is able “to ensure compliance with its decisions from all parties.” It means that the Papacy, in spite of all its talk of peace, understands red-letter perfect the necessity of a new universal civil authority that possesses coercive powers to enforce effectively its decisions on every nation. Finally, it is the Pope, as the purported “Vicar of Christ,” and his Vatican that will declare what is the correct “interconnection between moral and social spheres.” Regarding politics, economics, and civil governments of all levels — or the temporal sphere — the new universal temporal authority will enforce these papal declarations. Section 67 of the latest encyclical, when placed in the context of the corpus of Roman Catholic social doctrine, shows that the Papacy is very much obsessed with gaining the power to have all the world under its control. The Papacy is engaged in applying a classic pincer tactic of squeezing from the top and the bottom to capture its objective. It is employing both the civil governments, as shown above, and the Catholic lay faithful to achieve its objective. The Pope as the “supreme teaching authority” of the Roman Catholic Church has decreed the following for its lay people. The duty of all lay Catholics to evangelize by teaching and implementing Roman Catholic social doctrine everywhere in secular society is obligatory on pain of excommunication. This means that the Papacy has a dependable fifth column in every nation where Catholics are found. To organize “the community of peoples and nations, in such a way as to shape the earthly city” is to work to implement a terrible snare. The Lord Jesus clearly proclaimed, “My kingdom is not of this world.”35 Plainly, the kingdom of the Lord Jesus Christ is heavenly, not a “globalized society” on earth. True believers in the Lord Jesus Christ live in the world as He did. They are in the world, but they are not of the world. In contrast, the kingdom of the Pope of Rome is very much of this world. Papal Rome binds men in political, economic and religious activities. Papal pronouncements documented here can only be understood in the light of the Pontiff’s continued plans for world government. His presupposition is that the kingdom of God already exists in the Roman Catholic Church. This is consistent with his teaching in his new Catechism, “The [Roman Catholic] Church is the seed and beginning of this kingdom. Its keys are entrusted to Peter.”36 His documented statements are an affront to the Lord Jesus Christ in His work of redemption. Likewise they are an affront to the Holy Spirit in His ministry of convincing the world of sin, righteousness and judgment. The Apostle Paul wrote under the direction of the Holy Spirit, “the wrath of God is revealed from heaven against all ungodliness and unrighteousness of men, who hold the truth in unrighteousness.”37 Who can bear with the devouring fire of God’s wrath? The good news is that personal faith and salvation are also from His hand, “Him hath God exalted with his right hand to be a Prince and a Savior, for to give repentance to Israel, and forgiveness of sin.”38 The Scripture proclaims, “Believe on the Lord Jesus Christ and thou shalt be saved.” The Lord Himself declared, “He that believeth, and is baptized, shall be saved; he that believeth not shall be damned.” The Lord will always be merciful to those who turn to Him in faith for the remission of sins. He clearly said, “Come unto me, all ye that labour and are heavy laden, and I will give you rest to your souls.” Before the all-holy God, according to the Bible, an individual is saved by grace alone, through faith alone, in Christ alone. All glory and praise is due to God alone! 4. LeRoy Edwin Froom, The Prophetic Faith of Our Fathers volume 1 (Hagerstown, MD: Review & Herald, 1950, 1978): 511-513. 6. John Dowling, The History of Romanism book 8 (Vance Publications, 2002, 1845): 542-543. 7. Catechism of the Catholic Church Paragraph 882 (1994). 8. Code of Canon Law, Latin-English ed. (Washington DC: Canon Law Society of America, 1983). All canons are taken from this source unless otherwise stated. 10. Benedict XVI, Charity in Truth Section 94 (June 29, 2009). 11. Benedict XVI, Charity in Truth Section 39 (June 29, 2009). 12. Benedict XVI, Charity in Truth Section 11 (June 29, 2009). 13. Benedict XVI, Charity in Truth Section 18 (June 29, 2009). 15. Compendium, Section167. Throughout this article, emphasis in original is marked by underlining. 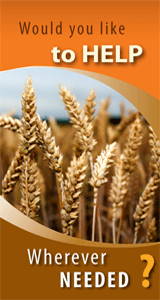 This article’s emphasis is marked by bolding. 23. Timothy 3:4-5; 2 Peter 1:5-8; Proverbs 16:32. 24. Psalm 101; Ephesians 6:1-4; 1 Timothy 3:4-5. 25. Romans 13:1-4; 1 Peter 2:13-14. It is God’s perogative to make His laws bind the conscience so that men “render to Caesar the things that are Caesar’s and to God the things that are God’s” (Mark 12:17). 26. Benedict XVI, Charity in Truth Section 57 (June 29, 2009). 27. Pope Leo XIII’s decree, as quoted in Neuner and Dupuis (eds. ), The Christian Faith in the Doctrinal Documents of the Catholic Church paragraph 1821 (Cork: The Mercier Press, 1967). 28. So comprehensive are these laws that they are organized into chapters. Canon 1055-1165. 29. Benedict XVI, Charity in Truth Section 67 (June 29, 2009). 31. Catechism, Paragraphs 168,169, 181.
and the celebration of the sacraments have the power to help us to discover the teaching of the prophets, the Lord and the Apostles on the subject of justice. The preparation for baptism is the beginning of the formation of the Christian conscience. The practice of penance should emphasize the social dimension of sin and of the sacrament. Finally, the Eucharist forms the community and places it at the service of people.” Online at http://catholicsocialservices.org/au/print/49. 34. Benedict XVI, Charity in Truth Section 7 (June 29, 2009).